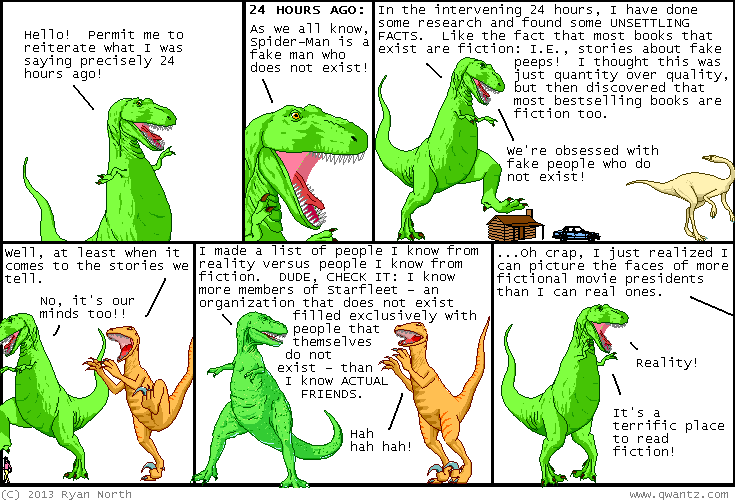 Dinosaur Comics - October 17th, 2013 - awesome fun times! 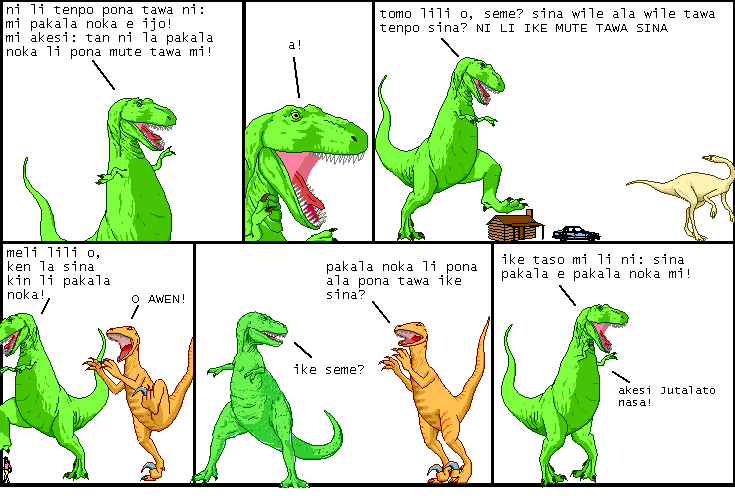 October 17th, 2013: Janek sent me this early comic translated into Toki Pona, which is amazing. Toki Pona is a constructed language I'd never encountered before (Wikipedia says it has 3 people who are fluent) but I kind of love it: it's designed to be simple but still allow you to express complex thought.